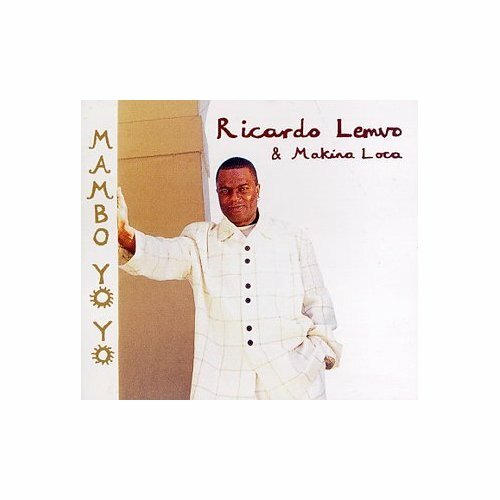 Ricardo Lemvo and Makina Loca "Mambo yoyo"
Putumayo produces and distributes so called „World Music“; music made around the World from various artists. Usually these tend to be less known to the masses. They often come from Africa and Latin America. Authors are presented as such or as a part of a compilation. The idea behind is to collect and present pieces from different artists to make a compendium of lesser known music styles. Would you buy a CD of cajun music from one specific and unknown artist? Probably not. But you may be interested in this musical genre and one compilation may introduce you to the subject. One is then free to stop there or research even further. Many audiophile buffs may find this approach unorthodox, but the idea is good and overall quality excellent. Putumayo wants you to listen to this unusual music, and to make you feel good in the while. In some cases single artists - instead of compilations - are presented and this is indeed the case with Ricardo Lemvo and the Makina Loca. This CD is all about afro-cuban rythms, nice melodies and a middle-sized band. The CD has a paper cover, which looks and feels elegant. It is not as scratch resistant as a more conventional plastic cover, though. Information about the artists and the 10 tracks can be found in the booklet inside. Ricardo Lemvo tells us how he became a musician and why he has dedicated himself to this kind of music. Ten tracks of good rhythm and easy melody gives you good vibrations. No experimental music like in Rumba Profunda which I reviewed some time ago here on TNT-Audio. Percussions and voices stand out. The language is a mix of congolese dialect and spanish, which create an exotic atmosphere. If you like vibrant and happy music, this CD may be for you. Recording quality is very good, without unnecessary polishing. Noise floor is extremely low. Since it isn't a "big band" a nice soundstage, with correct geometric proportions, is created. Percussions are there to make you dance and - at the same time - they let you test your system as well. However, do not expect earth shaking bass. Rinkinkaya - Ricardo Lemvo, Terraza, Juan B. This CD from Lemvo-Putumayo introduces you to a little known music genre with great artists and excellent recording quality. The package is well thought out. An unusual Christmas gift.